I confess to a certain Schadenfreude about this. I’ve never understood the left-right drama, and never will. But the right-right drama is even more incomprehensible to me. Leftists are better in these kind of situations: they just excommunicate one another and say “it was great while it lasted, but you have sold out to the great Capital and Burgeois Morality! You traitor!”. And everyone understands what is really happening. But the right-right drama is even more incomprehensible to me. Nothing incomprehensible about it. Hoppe writing forwards for 3rd rate white supremacist agitprop would potentially be bad for the business of the Mises Institute, particularly for the faculty and staff who are also typically employed(or on staff) at other institutions. Of course, from the point of view of the hoppeBots, I suppose there could be some lingering incredulity. After all, Hoppe is an unabashed white supremacist. So, what’s the problem, Lew? Roderick posted it under schadenfreude. I would file it under the observation that if the blood and soil Miseans actually got the völkisch government they are gutter trolling for, they would be the first to be lined up against the wall and shot. 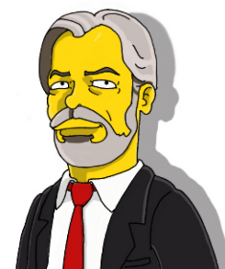 The best thing the Mises Institute could do is cut ties with Hoppe. I’d be interested in RL elaborating on this schadenfreude. What is he particularly pleased with? The problem with Kinsella’s argument is that he does not understand Hoppe. What Hoppe is arguing is in a perfect private law society, nobody who is not a cultural conservative will be allowed to live in a libertarian society. Of course what happens to all these people since the entire world is supposed to confirm to Hoppe’s view of libertarians. Where do these people who aren’t socially conservative supposed to go, if the world is Hoppean. If Hoppe argued that in the future, there would be communities that existed that would not want people who are vegans or non-white people, that would be a legitimate argument. And it would be true. But Hoppe doesn’t say that. Hoppe assumes that for any libertarian society to exist, they would have to purge certain members. And that is a foul argument. I see no reason in this future utopian world, that a gay or vegan libertarian covenant would exist. And they would say, no conservatives allowed. Kinsella quotes from later in that chapter showing that Hoppe is not setting up any kind of theoretical objection to anti-family communities (and note that it’s really about whether a community is family-oriented, not whether it is gay or vegan or whatnot). He is simply predicting that anti-family communities will, by their very nature, not last long, so any libertarian community that wants to perpetuate itself will need to advocate a more firmly pro-family culture. Now, at this point I think you can disagree with Hoppe and come up with scenarios for non-family-oriented communities surviving in the long term. E.g. instead of perpetuating themselves by natural reproduction, they simply draw off recruits from existing communities. Of course, these other communities must at some point reproduce naturally or else there would be no source for the anti-family communities. You can also legitimately disagree with Hoppe’s belief that successful communities must be patriarchal in the traditional Western sense. I myself don’t see that as necessarily true and my own family is not exactly traditional in all respects, but I think we still make it work. But it’s a legitimate question how many of our current non-traditional lifestyle communities are only sustainable by the state. Any culture or subculture that causes you to reject family and community and other non-state social structures will probably make you more likely to depend on the state; the state in turn will have an interest in promoting such cultures in order to increase dependency. Again, not saying this is always or even mostly the case, but they are legitimate questions to ponder. That essay is old. I remember circa that time period Kinsella attempted to rehabilitate Hoppe among the radical set, blogging and commenting “no, no..Hoppe really didn’t mean THAT…this is what he really meant, blah, blah.” Of course, this was on the heels on the Ron Paul newsletters fiasco, and for a time, paleo became a dirty association. Indeed, I recall Kinsella, when engaging the left libertarians on the old blog, Freedom Democrats, objected to being called a “paleo-libertarian.” When I pointed out it was right there on his own blog, he went and scrubbed the references. Of course, it turns and the paleos were like the “commies hiding in the bushes” in that old Danny Devito line from “Other People’s Money.” The Alt Right merely made the world safe for the paleos to come back out from behind the bushes again. I suppose the most charitable reading of Hoppe would assume a merger of Austrian Economics with the neo-marxist critical theory social science of the Frankfurt school, given that Hoppe was a PhD student there under Jurgen Habermas. So what does that mean? I guess it means Misean praxeology requires a shared cultural commitment to have any type of communicative rationality. In this instance, that shared cultural commitment equals white christian patriarchy that Hoppe is so fond of. Hoppe’s point is not that a libertarian society requires exclusivity to function; instead its that white male patriarchy is the only such society where libertarianism could rationally function. And any variant of a “deviant social order,” to the extent it would have any prosperity or economic trade, would require “embedding” in a larger male christian dominated social order. This type of right-wing “thickness” nonsense is one reason why I never subscribed to Dr. Long’s “thick libertarianism.” Too easily abused. However, I must point that I don’t take the most charitable view of Hoppe. I think his use of the term “anarcho capitalist” is a deliberate expropriation. Anyone with an IQ above freezing should be see that his “invited trespass property rights theory,” a theory that essentially dumps the liability for fraud and crime onto property owning inviters, necessarily precludes the formation of any type advanced, division of labor, capitalist economy. It literally is: “you did not steal that.” It is a theory more applicable to a stranger-aversion agrarian order like the Amish, a social order whose primary function is to preserve a traditional religious order frozen in time. That being said, comparing the Amish to a Hoppean covenant might be an insult to the Amish. At least the Amish don’t require an ICE gestapo, nor do they agitate for one, to preserve their little social order. Nor do they expropriate Ludwig von Mises to run a donation con game. Well, to be honest I think I share your concerns about the pro-medieval stuff; your concern that Hoppean property ethics would prevent commerce on our modern scale makes some sense. But I don’t think Hoppe anywhere denies that, in absolute terms, we enjoy better living standards now than in those days. His argument is rather that we would be enjoying even higher living standards if the political developments (as opposed to the strictly economic ones) had been different. So this hinges on denying a causal relationship between the political structure of medieval Europe and its relative lack of economic progress, and likewise on denying the causal relationship between the growth of the centralized State and the growth of the economy in the subsequent centuries. At least as far as denying the causal relationship between the State and economic progress goes, I’d have thought everyone here would be on board! It might be worth remembering that Rothbard in Ethics (which I think reflects his pre-paleo thought) had good things to say about the decentralized legal and political system of medieval Ireland. David Friedman, for his part, has done a lot of work studying the similarly decentralized legal system of medieval Iceland. Both societies were obviously backward compared to our own, but the task is to compare them with contemporary societies of comparable development, not with our own. So it’s not outlandish to look back in the centuries for ideas of what a libertarian society could look like; we should avoid falling into simplistic anti-medieval prejudices. I asked Professor Raico how does he square Hoppean libertarianism with what he wrote back in the 1970s and he gave me a very Bill Clinton(esque) response . I wasn’t trying to bait him , I was just curious because I read the book and thought his review was dead on accurate. Hm, when it comes to the Amish, I think the most important question to consider is whether their ethics are consistent with our non-aggression principle. My impression is they are, which would make them more libertarian than our own society and most other modern societies. That they are “backward” in other respects shouldn’t really be a strong objection if you’re a libertarian. The same goes for feudalism. Was that society more or less consistent with the NAP than our own? Is our economic development built upon massive rights violations after all, as so many critics of modernity have maintained? I agree Rockwell, Deist and the MI do try to play a balancing act. I actually think it’s great that they still hold together thinkers of such different persuasions (and remember that their primary focus is still Austrian economics). MI is where I can go to get undiluted Austro-libertarianism; if I want some kind of mealy-mouthed fusion of various schools, I can get that from Horwitz at Mercatus! Raico and Salerno were two of my primary sources for the old french liberal school(laissez faire). I’m not aware of Raico turning before he died, but I’m disappointed to see Salerno has now apparently succumbed to leftist derangement syndrome. Argumentation Ethics is circular reasoning(if NAP is a premise for every argument, then so too for AE). That aside, it is interesting to note that Hoppe’s argument from “The Ultimate Justification of the Private Property Ethic”(1988) relied in part on a recognition of the dreaded universalism of norms, at least as it pertains to propositional exchange and argumentation. So, even if you wanted to ignore the circular reasoning, you can’t square AE with what Hoppe is advocating today. *** Nonetheless, Hoppe’s sycophants will still trumpet AE as a scientific advancement of libertarianism. Further Note: Argumentation Ethics might also be he first place I’ve seen “property borders” snuck in to ostensibly libertarian literature. At the time, that language might have thought to have been innocuous. But not today. Property has (surveyed) boundaries, not borders. The language of surveyed boundaries does not imply uniformed border control, jurisdictional legal differentiation, citizenship that one might try to piggy back off to claim a private property regime is consistent with ICE thuggery. *** Assuming AE, any cultural evidence of argument therefore establishes a presumption of NAP, and hence NAP is universalized across all cultures. Thus libertarianism is not the exclusive domain of white christian patriarchy. If libertarianism is the exclusive domain of white christian patriarchy, then a demonstration of argument by any culture that is not white christian patriarchy thus invalidates AE. MI is where I can go to get undiluted Austro-libertarianism; if I want some kind of mealy-mouthed fusion of various schools, I can get that from Horwitz at Mercatus! Here’s what I wrote about that choice back in 2004. I would be a lot less charitable toward both kinds of deviation today, but the central point still holds. Rand’s phrase about offering one poison as food and another poison as antidote comes to mind here. just to clarify, blood and soil vs beltway centrism is a false dilemma. It’s scapegoating vs selling the piss down your back as rain…There are other choices. “Consider a village near a lake. It is common for the villagers to walk down to the lake to go fishing. In the early days of the community it’s hard to get to the lake because of all the bushes and fallen branches in the way. But over time, the way is cleared and a path forms—not through any centrally coordinated effort, but simply as a result of all the individuals walking that way day after day. “Since collectives, like individuals, can mix their labor with unowned resources to make those resources more useful to their purposes, collectives, too can claim property rights by homestead. And since collectives, like individuals, can be the beneficiaries of free voluntary transfer, collectives too can claim property rights by bequest. From this I think a reasonable reader could conclude that, while a community’s public rights of way are open for use by community members, they can be closed to outsiders without violating the rights of those outsiders. What would you say to this? Or have you dealt with this anywhere? Suppose A and B are both legitimately owned parcels of land. (The owner of A might be a single individual, or a community; or A might be a collection of individual parcels. Doesn’t matter.) The owners of A don’t have a right to imprison the owner of B on her land, or to keep her off it either; they have to let her travel freely away from and back to B. They owe her an easement. By the same token, if B’s owner wants to invite some third person onto her land (as a guest, an employee, a customer, a business partner, whatever) then that easement has to be open to them too. Thanks. I feel that even Hoppe supports allowing the immigration of anyone who is invited, and I think even you would allow that e.g. immigrants could not permanently occupy or block those rights of way without proceeding to the the property belonging to the inviting party. So the differences must lie elsewhere (and not just in the different rhetoric you both resort to). But I don’t think I should clog up this comment thread anymore on the topic. If you wanted to post something new about this maybe I could ask more questions there! But doesn’t Hoppe say that a majority of natives can ban immigrants from using the public highways (even if a minority of natives wants them as tenants, customers, employees, etc.)? That seems to go against my position. The internet remains the best example of how public transport as an emergent property arises from a collection of wholly owned private networks. In the literature, it is often referred to as “the public wire” but little of it is actually “publicly owned.” Nonetheless, the public wire does require a billable account to access. Hence, it is not a “public good.” The reasons for this don’t really have much to with digging into the weeds of easement constraints on homesteaded property. It’s more easily arrived at via network theory, game theory and economics. Similarly, if one started with the anarcho-capitalist assumptions of full privatization of property, one could use the same analysis to arrive at a topologically simply-connected world(which is open borders). The only thing that prevents this outcome is the massive subsidization by the State to strait-jacket the travel topology. The notion that the State subsidizes migration(i.e, forced integration) is empirically ludicrous. In Hoppe’s invited-trespass torts, the inviter carries the liability for the invitee. Hence, it is not amenable at all to general invitation. But It is also why calling Hoppe’s property rights theory “capitalism” is a complete misnomer. According to the author, Hoppe never himself appealed to majoritarian democracy as a solution for immigration policy, though Stephan Kinsella has. From what I’ve seen, Hoppe’s criterion is that the would-be immigrant must present a certificate of invitation (to the state border police, of course!). So in principle Hoppe maintains that citizens should be free to invite or not invite immigrants, which doesn’t look all that different. The problem comes in what to do with a) state-owned property (which is privately owned by taxpayers according to Hoppe and Block but is unowned and open to homesteading according to other interpretations) and b) what other restrictions on would-be inviters should be imposed. As dL notes, Hoppe believes that citizen sponsors of immigrants must be held liable for torts committed by the immigrant, which indeed seems like an unusual position to take. I’ve been a Hoppean on this issue until recently but I see now there is a deep problem with any libertarian strategy that calls for using state means to achieve any ends, no matter how libertarian, and that should include using state border police. I know Hoppe and others would respond that pursuing this strategy consistently would mean also refusing to use state police to arrest and punish murderers and rapists. I’m not sure what I think of that yet, but any accommodation of the state in theory or strategy is dangerous ground, as I’m sure you already know. In that case there’d be no reason it’d apply just to immigrants. One would have to hold generally that firms are responsible for the behaviour of their employees and customers, that landlords are responsible for the behaviour of their tenants, etc. I suspect most right-libertarians would be queasy about embracing that conclusion. Why would this certificate have to say anything more than “You known damn well that this country is filled with millions upon millions of people who are willing to accept immigrants as customers, employees, tenants, etc., and there’s no reason I have to specify which particular ones I’ll be headed toward — since the burden of proof lies on you to establish that I have criminal intent, not on me to establish that I don’t”? Apparently Block has changed his views and now believes in taxpayer ownership of public property. His argument for open borders now rests on his theory that stealing from a thief is always justified, whether or not the property is returned to its original owner, so trespass by an illegal immigrant on taxpayer-owned, state-controlled property is justified because the state is a thief. Not only Rothbard, but Hoppe apparently in a 1991 article on how former East Germany should privatize state-controlled assets also adopts this part-syndicalist approach. That is, unless a private individual can produce title to an asset seized by the East German government, the assets should be considered the property of those currently using or managing them. So 1991 Hoppe would probably agree with you on who owns the library. Though I can already see how that can be turned back in favor of closed borders: since the border guards are currently managing the borders, if those borders are unowned, we can conclude that the border guards own the borders themselves, so there’s no reason they can’t continue doing what they’re doing! Do you have a link to the new position? Critique” Journal of Libertarian Studies Volume 22 (2011). Here’s the Block article: https://mises.org/system/tdf/22_1_29.pdf?file=1&type=document. There he seems to endorse both the unowned and taxpayer-owned positions simultaneously. But that becomes less puzzling when we reach his conclusion: “stolen land is de jure virgin land, ready for the next homesteader to seize it … on the assumption that the rightful original owner cannot be located, or he acquiesces in the state’s seizure.” I can see how he might be tempted in different contexts to describe this both in unowned and in taxpayer-owned terms. His argument is rather that we would be enjoying even higher living standards if the political developments (as opposed to the strictly economic ones) had been different. So this hinges on denying a causal relationship between the political structure of medieval Europe and its relative lack of economic progress, and likewise on denying the causal relationship between the growth of the centralized State and the growth of the economy in the subsequent centuries. At least as far as denying the causal relationship between the State and economic progress goes, I’d have thought everyone here would be on board! Hereditary monarchy would have a vested interest in the long-term preservation of rule(future-oriented outlook), hence there would be more constraints on bad policies compared to liberal democracy’s present-oriented discounting incentive, which offers little or no constraints. suffers from some questionable assumptions, particularly with respect to an ex-ante efficieny claim regarding the “path” of monarchy. Hoppe is implictly making a ceteris paribus assumption regarding the recognition of the legitimacy of hereditary rule. If this legitimacy–in the age of enlightenment–is challenged or questioned, then even our future-oriented monarch has to waste considerable resources in the present to enforce recognition of legitimacy. Eventually, the security organs of the monarchy would have to extend into every sphere of civil society, particularly in education, to maintain recognition. The long lasting monarch would simply end up a figurehead to the real source of power: the crown’s internal security apparatus. It might be worth remembering that Rothbard in Ethics (which I think reflects his pre-paleo thought) had good things to say about the decentralized legal and political system of medieval Ireland. David Friedman, for his part, has done a lot of work studying the similarly decentralized legal system of medieval Iceland. The question of centralization vs decentralization is not an easy question. I don’t think “centralization” is automatically bad. Neither do I think “decentralization” is automatically good. For example, technological progress requires centralization of engineering/tech standards. I can rattle off 20 or so international engineering standards bodies that make today’s global consumer tech possible. This has nothing to do with central government or a singular central authority. These standards bodies are populated by all the major global tech firms, AT&T, Intel, Apple, Microsoft, Google, CTC, HP, Honeywell, Hitachi, IBM, Infineon, …..This serves as a resolution for a lot of coordination problems. And, in a sense, can be thought of as an example of Hayek’s planning for competition. The centralized state, however, rarely seems to be in the business of planning for competition. And in the rare event it accidently manages to coordinate such a thing(such as was the case with the internet), it immediately sets out to control it. Decentralization, while serving as an almost sure fire guarantee against orwellian totalitarianism or sprawling bureaucracies, nonetheless is highly inefficient economically. And it is no guarantee against a brutal localized tyranny. So it’s not outlandish to look back in the centuries for ideas of what a libertarian society could look like; we should avoid falling into simplistic anti-medieval prejudices. No, I don’t think it outlandish to look to history to understand the present or even to predict the future. However, I think it is nonsense to fetishize recreating the past to re-engineer the present or the future. Would you be able to articulate the errors in Hoppe’s property ethics or do you recommend a good critique? Additionally, I categorically reject the State as something that is privately owned. That’s absurd. Any conclusions that Hoppe tries to establish from such a nonsensical proposition are simply dismissed out of hand. NOTE: I’ve already discussed previously why trying to establish the Nation Sate as private property by way of establishing a monarchy as private property(Democracy: The God that Failed) is fallacious reasoning. Further Note: The world has given us an empirical example of what a collection of privately owned things behaves like in the aggregate RE: public vs private transport. The internet. The internet is a collection of privately owned networks that behave in the aggregate as a public network. There are sound economic reasons why this is so. And it should be pointed out that this aggregate public network behavior of the internet in no way infringes on the private management of each individual network in terms of what is publicly traversable and what is not(firewalled). or do you recommend a good critique? There are certainly tons of libertarian rejoinders to Hoppe on property rights and immigration. Gregory and Block is one the better well known ones. However, I would be remiss to point out that I do not share the Gregory/Block’s praise of Hoppe’s otherwise contributions to libertarianism. In my opinion. Hoppe has contributed nothing to that field of study. That being said, I’m not a follower of Austrian economics. Austrian economics and libertarianism are not the same thing. I have no opinion on whatever supposed contributions Hoppe has made to Austrian Economics. I think you make good points but you also misrepresent Hoppe’s position. He doesn’t say the *State* is privately owned; he says that the State’s property properly belongs to those whom the State has expropriated, i.e. the taxpayers. The analogy is with a thief who has stolen your car. We all maintain that the thief’s first responsibility is to return the car to its rightful owner, just as the State should hand over the property it controls to the taxpayers. But failing that, what is the better or worse course of action for the thief? To keep your car in good condition or to let all his friends use it and ruin its value? Clearly the first option is to be preferred. It follows then, according to Hoppe, that if the State is not going to hand over its property to the taxpayers, then at any rate it should not allow open access to everyone else. However, I think your point about only the invitee being liable is correct; I felt that this part of Hoppe’s argument did not make sense. “Invited trepass property ethics” sounds odd. Is that really Hoppe’s term for it? I don’t recall him calling it that. Why? You don’t have to sponsor an immigrant and are free to enter into a contractual arrangement with members of society that are not immigrants that you sponsored. There is nothing to prevent a capitalist economy from functioning. I reject the State and think that you confuse society with the State. I am talking about private property. You are free to invite anyone to come live with you as long as you are willing to look after them or can come to a contractual arrangement of some kind contractual arrangement. NOTE: I’ve already discussed previously why trying to establish the Nation State as private property by way of establishing a monarchy as private property(Democracy: The God that Failed) is fallacious reasoning. That is a different argument that I would rather not get into as a diversion. That said, I agree with many of the points made in The God That Failed and think that you are taking the material out of context. And let me remind you that Hoppe opposes the Nation State as you probably do. Further Note: The world has given us an empirical example of what a collection of privately owned things behaves like in the aggregate RE: public vs private transport. Public transport is less efficient and less accountable to the customers. Note that Southern bus company owners did not enforce Jim Crow laws until they were forced to by the State because they did not want to piss off their best customers. The internet. The internet is a collection of privately owned networks that behave in the aggregate as a public network. There are sound economic reasons why this is so. And it should be pointed out that this aggregate public network behaviour of the internet in no way infringes on the private management of each individual network in terms of what is publicly traversable and what is not(firewalled). I think that Hoppe’s response was better than the Block critique. As Hoppe pointed out, Block dealt with the issue of what to do with a bum in the library? The answer is simple if the library is private; the law will allow the owner of the library to evict the bum. But a public library is like an unowned good so everyone has the same right to it as anyone else. If everyone has the same right to ‘public goods’ that are funded by taxpayers who have earnings confiscated from them by the State, then the wave of immigrants will take what those taxpayers paid to build. As Hoppe points out, there is a big difference between unowned goods in the wild and public goods built by taxes extracted from taxpayers. If the domestic public pays for hospitals, libraries, schools, etc., immigrants have no right to them. Neither the bum nor foreigners can be assumed to have any moral right to use what they did not pay for. In my opinion. Hoppe has contributed nothing to that field of study. That being said, I’m not a follower of Austrian economics. Austrian economics and libertarianism are not the same thing. I have no opinion on whatever supposed contributions Hoppe has made to Austrian Economics. I imagine that most Left-Libertarians cannot stand Hoppe because they cannot argue effectively against his positions. I suggest that you do become familiar with Austrian economics because you cannot understand the fundamental justification for libertarian society without the concepts. Your rejoinder does not address the question of Hoppean property torts, which is not all that surprising, given that I find the typical Hoppe follower either not be fully cognizant of the full breadth of the concept or interested only in the selective application of it vis a vis the State and immigration. Yes, you are aware of inviter-invitee, but the inviter also shares in any of the liabilities of the invitee. This means, for example, that an inviter would be responsible for the torts of, say, an invited manufacturing plant. Any capitalist economy worth its salt will have banking and credit. So, the inviter shares in the liability of any invitee’s credit defaults. Any capitalist economy worth its salt will have anonymous division of labor. But the inviter has to bear any of the tortuous or criminal actions of someone else’s employees. And on and on. This type of social organization is a relic of a patriarchal agrarian society. The Amish is the example I typically use. It precludes any possibility of a modern capitalist economy. When the Amish start producing sky scrapers, multi-national corporations and the such, then we can discuss invited-trespass property torts and capitalism. Hell, I would settle for evidence of the Amish use of a mechanized plow. Public transport does not mean “the public” owns the means of transportation. It simply means it is open to the public. The point was how a collection of privately held property in the aggregate has an emergent property of public transport. This type of emergent behavior is explained by economics and understood by people who generally understand economics. If everyone has the same right to ‘public goods’ that are funded by taxpayers who have earnings confiscated from them by the State, then the wave of immigrants will take what those taxpayers paid to build. A library is not a “public good.” Economically, a public good is a non-rivalrous and non-excludable good, things like “clean air” or “national defense.” By definition, there is no way to exclude use of that type of resource. But by the same token, there are very few public goods. And a building certainly isn’t one of them. RE: taxpayers. Everyone is a taxpayer. As soon as you buy a stick of gum, you are a taxpayer. “Taxpayers” is not a delineating grouping. And I’ll be damned if because “taxpayers” decide to build a ditch that this somehow confers the authority of the state to regulate to control liberty of movement and association. That’s a brain dead progressive contention. Well, I see with my own eyes(I don’t have to imagine it) that most fervent HoppeBots are woefully ignorant of the libertarian tradition and economics and only demonstrate an intellectual proficiency in right-wing victim identity politics. And I would suggest you follow your own advice re: Austrian economics. Put down the crank Hans Hoppe and start with Menger, von Bawerk, Mises and Hayek before lecturing anyone else on the subject. I offer some criticisms of Hoppe’s case for monarchy on pp. 33-34 of this. I discuss his argumentation ethics here. Jacob Levy has a fascinating book on this. where they do come and go as they please(in practice of libertine lifestyle) before deciding to permanently join the community or leave it for good. Hoope wants covenant communities with no freedom of movement. Even the freaking Amish don’t practice that. That’s not liberty or libertarianism or NAP. And it certainly isn’t capitalism. I’m not sure what you think Hoppe believes about freedom of movement, but I’m pretty sure he supports freedom of exit, if not of entry. And in that respect the Amish come pretty close to the Hoppean covenant community ideal, since it not easy to join their community, while it is easy to leave (or easy to the extent you are not dependent on the community for your livelihood). He doesn’t say the *State* is privately owned; he says that the State’s property properly belongs to those whom the State has expropriated, i.e. the taxpayers. Everyone is a taxpayer. As soon as you buy a stick of gum, you are a taxpayer. I see no delineation here. This is 100% majoritarian democracy, unless you want to go the Orwellian route of “All taxpayers are equal but some are more equal than others.” As a libertarian, I have a real problem with federal tax compliance being the basis for the ruling pecking order. Plus, taxation is theft does not imply that those who pay the most taxes are the most aggrieved. Should billionaire Jamie Dimon(the beneficiary of the largesse of central banking policy) sit at the top of the pecking order to determine who gets to go where? I don’t see why taxpayers should not be entitled to ownership in proportion to the taxes they pay. Certainly in terms of restitution owed them from the State, those who have paid more should get more back. Well, you are putting Bill Gates, Warren Buffet, Charles and David Koch at the very top of the pecking order of who decides. I mean that is Lew Rockwell’s top 5 enemies list. So, the Hoppean position on taxpayer private property ultimately boils down to Lew Rockwell’s enemies list deciding who stays and who goes? The term “Invited-trespass,” yes. The expression “Invited-trespass property ethics,” probably not. But it is not a misrepresentation. I’m not sure what you think Hoppe believes about freedom of movement, but I’m pretty sure he supports freedom of exit, if not of entry. Hoppean removal can only be bridged with right of exit if and only if there is an attendant right to entry(or the liberty to seek an entry somewhere else). Otherwise, the Hoppean helicopter==extermination. If Hoppean covenant A wishes to expel members X, but Hoppean covenants B,C,D,E that surround A do not grant invitation to X to pass through to find a new Hoppean covenant Z, the Hoppean helicopter is a gunshot to the back of the head. Obviously, community A can’t expel X because there is nowhere to expel X to. OK but I don’t see this as a particularly Hoppean problem; it’s a potential problem with any kind of property rights. And in Hoppe’s scenario I don’t remember him positing that all surrounding communities would forbid entry; there is only the one covenant community in the scenario that would expel anti-libertarian members. The fate of the individuals after expulsion is not discussed. OK but I don’t see this as a particularly Hoppean problem; it’s a potential problem with any kind of property rights. Nor really. Economically, it’s easy to see why any unresolved problems get resolved. Why do Tier1 telcos providers practice settlement-free exchange instead of Hoppean exclusion? Because the value of their networks would be a lot less if everyone was boxed in to their respective networks and could only access the resources on that network. It is much more economically efficient to have a default condition of pass and bill your own customers for revenue than to have a default condition of trespass and work out invitation contracts for traffic from external sources. A piece property is almost always more valuable if it connects to a road. The road is more valuable if it connects to another road(the more possible destinations you can reach by taking that road, the more valuable the road). Terminating dead end roads are not that valuable. In an efficient economy, “open borders” simply means a simply-connected topology. 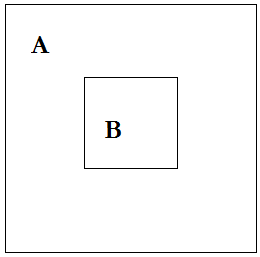 I.e, any two points are path connected; that is, given points A and B, there is a path connecting A to B. This is not a right to trespass. It simply means that if you want to go from A to B, there is a path to get there. There are no holes or discontinuities. I really think you’re misunderstanding Hoppe’s intent and nothing you say is incompatible with his vision. He isn’t saying property owners *must* exclude strangers. Especially in his 2002 essay, he lays out the different tendencies with respect to trade and employment on the one hand and residence and recreational association on the other. Under a fully privatized system, people will figure out the optimal balance between those connections necessary for trade with other communities while reserving the right to restrict residence to those they find compatible with their lifestyle. That’s why his 1998 essay is on how free trade and restricted immigration go together. I think this page definitely has the greatest ratio of comment section length to original post length of any post of mine. I do not avoid the issue at all. It goes away if you do not invite others to come into the country and sponsor them. If you don’t trust the invitee to behave and do not wish to take on certain liabilities you are perfectly free not to invite foreigners to come to the country. But I think that your unfamiliarity with anarchist society is showing here. In a free society, newcomers would pay for policies that would guarantee their compliance with the rules and would cover any damages done by them. None of this is new because a free society would likely use customary law that was compensatory rather than punitive and there would be plenty of private organizations that would take responsibility for liabilities racked up by premium paying newcomers. Nonsense. Customary law does not prevent capitalist enterprises from developing. It actually favours capitalism because there is no government to get in the way of individuals choosing to produce and trade with each other. Your Amish example ignores the fact that what Amish people do is determined by mandatory compliance with the Ordnung, a set of religious rules that make it difficult for many Amish communities to trade freely and engage fully with others outside of their community. My preference is for the move to customary law by the Somalis when their government fell in 1991. The economy grew rapidly even though warlords were trying to gain power and control the country. Thre conflict had no negative effect on the telecoms market as the competitive mobile sector saw the creation of seven networks that had to compete for customers. A few of the mobile services companies also offer fixed-line and internet services and the sector thrived because there were no regulatory barriers or taxes and no service mandates and obligations. I expect the central government to end all that as it sets up rules that benefit a few of the companies that will get to take out the rest and offer near monopoly services that remove them from being accountable to the customers. Development in the Horn of Africa. It would also help to find out how mutual aid societies took care of many of the issues that left-anarchists are so concerned about. I suggest that you choose your words more carefully. Mass transportation is the term that you are looking for. But my point still stands. In a relatively free market, the customers have far more control and many of your imagined problems and injustices go away. You really should read a bit more of Hoppe’s works. There is no mystery. Governments get into the act and make it possible for those that give the most donations to bribe them to pass regulations that create cartels and monopolies. The irony is that is what happens when you allow uncontrolled immigrants who pressure government to hand out more goodies that the productive class has to pay for. I responded to the Block argument that you cited in support for your attack on Hoppe. And how do you prevent people from using the library again? It is not true that everyone is a taxpayer. If you work for the State you get loot that was taken from taxpayers and are asked to pay some of it back in ‘taxes.’ When you net it out, you don’t pay taxes. The same is true for those that get most of their income and benefits from the State. Giving some of what they got back does not make them taxpayers. You sure you are an anarchist? is trivially true, but it also describes a very backward, agrarian self-sufficiency economy. That’s not capitalism. I suggest that you choose your words more carefully. Mass transportation is the term that you are looking for. Mass transportation is not the correct term I’m looking for. Public transport, in the networking engineering sense, is. Public wire. Unfortunately, a google search on the term brings back mostly a “public transportation” reference. But that’s not what I mean. Public transport in the way I’m using it simply translates to “open to the public.” It does not mean “the public owns the means of transportation” or the network. Nor does it mean that it’s free. For example, a private toll road open to the public satisfies the criteria. If you pay the fee, you can use it. Block argument that you cited in support for your attack on Hoppe. I didn’t cite Block in my argument. I’m not particularly a fan of Block. In response to a question regarding public critiques of Hoppe, I did reference a link to the Block/Gregory paper as one of the better known rebuttals. And how do you prevent people from using the library again? Well, you know, even before the advent of the internet, I never found the public library to be threatened by any horde invasion. LOL. The problem then as it is today, indeed, much more today, was enticing people to actually use the resource! Now, city libraries did have the occasional transient or two. Of course, they would be asked to leave when the building closed. And that’s how you removed people from the public library…turn off the lights and lock the doors at closing time. It is not true that everyone is a taxpayer. Well, it is objectively true that everyone pays taxes. When you net it out, you don’t pay taxes. Hmm, Net Taxpayer? Well, that can be a complex calculation to make. I would have to exclude net taxpayer status from the people who work for corporations that receive government contracts and subsidies. I would have to exclude the same status from people who benefit from the protection of government monopolies.I would have to exclude that status from anyone who votes for a republican and democrat in an election. I would have to exclude that status from anyone who advocates the government hire more personnel, say, ICE/BCP, the average salary ~ 100K/yr with full health and pension benefits. How many net taxpayers are going to be left after we get finished going through all the calculations? The state is the organization of plunder, but the organization of the poor man’s plunder it is not. When ICE/BCP thugs start beating on people to the cry of “statist scum,” the borg assimilation will be complete…. I’m not talking about countries, governments or immigrants. Invited trespass torts would apply to any private property. I am not talking about countries either. I am saying that if an invited person commits some crime the sponsor or his insurer should be responsible for the compensation. This is how customary laws have always worked. It has nothing to do with capitalism, socialism, or anything else. In a free society, anyone who does something wrong will be responsible for compensating anyone that has been harmed because of his actions. To be able to compensate, you need to have assets that can be used to cover that compensation or a form of insurance where your premiums take care of any liabilities. Are you under the impression that private companies that compete in the mass transport space will not be ‘open to the public’? That is news to me. Private bus operators were begging customers to fill their seats as they moved them from one place to another. They were used because they were cheaper and more convenient than the government system, which could not serve all of the different demands. You paid a fee and got to use the busses. If you wanted a better quality ride, less crowding, a video system to entertain you, etc., you paid more and took the bus that offered those services. If all you cared about was the price you got into the more crowded buses and put up with the extra discomfort. And I responded to what was in the paper that was cited. The argument presented by Block has many components that you would disagree with. I diagreed with him too but for different reasons. The source that you cited used the get the bum out of the library scenario. What happens when the smelly guy makes everyone else uncomfortable? Does everyone go away until he leaves? Private property rules dispense with that problem rather easily. Agreed. But when what you pay comes from taxes that other people paid you are just redistributing stolen loot. Surely an anarchist can understand that point. I disagree. You go out and exchange your labour freely for money that comes from a business that has its own capital. You do not make false claims that some energy company that gets $200 million but pays $10 billion is illegitimate because some idiot politicians like subsidies as a redistribution scheme to return some of the stolen money. You are taking a typical Marxist response and your dislike for voluntary associations and voluntary trade is showing. I think that you will have the same small group that is currently paying most of the taxes that fund the welfare state. Playing language games won’t change the reality. And that is the real problem with Left-Anarchists. They have no sound logical position that can take them where they claim that they want to go so they play with language to attack people like Hoppe, who do have a sound logical structure that explains things. In a free society, anyone who does something wrong will be responsible for compensating anyone that has been harmed because of his actions. For the umpteenth time, the INVITER shares the liability for any actions by the invitee. If, say, a manufacturing plant worker commits a criminal act, the manufacturing plant or the person or entity responsible for inviting the “manufacturing plant” bears the liability. The one who is actually responsible is not the one who is ultimately responsible.This is a relic tort system of the ancient patriarchal clans. This is how Hoppe uses “property torts” to enforce his patriarchal clan fetish. This fetish describes an agrarian Amish-like society, not a modern capitalist economy. Are you under the impression that private companies that compete in the mass transport space will not be ‘open to the public’? No. And I have no idea how you drew that conclusion. But now that you mention it, that is exactly how it would be in a Hoppean property rights/torts world. There would be no mass transportation because each individual would need to have an invited contract at each point along the way with the owner of each point. A contract that would not only have to specify a right to pass for the individual but would also have to specify the owner’s agreement to assume a shared liability for any future tortuous actions by that individual. Mass transportation in a Hoppean world==by foot, with the possibility of upgrade in a more advanced Hoppean economy to mule. This is absurd. If Firm A used special privileges to exclude any competition–or greatly reduce the level of competition–you would ignore the profound acquisitional effect that would have on Firm’s A bottom line by simply looking at the amount of taxes the firm pays to determine membership in the “productive class”? Or that you blame politicians for the economic rent-seeking behavior(that creates an artificial rent stream to the seeker) but when it comes to the income streams of the poor man’s plunder, you suddenly shift the blame to the seeker? Or that you pillage “left anarchists” for being against “voluntary association,” but you demonstrate your allegiance to voluntary association by supporting the massive hire of tax-eating government thugs to attack voluntary association in the name of taxes? Shiiiiiiiiiiiittttttttttttttttt………. I think that you are distorting what Hoppe has said. He believes that each individual is responsible for his own actions. His point is that if you want to invite foreigners to work for you, you have to take responsibility for actions that they take to harm others because they have no right to be here. Note that I do not think that Hoppe has objected to foreigners coming to a country and buying property that is their own. He is a great deal more disposed to be positive towards property and property rights than the irrational Left-Anarchist types. Each time I buy a ticket we have a contract. The seller has to get me to where I paid to go safely and in a timely manner and I have to be mindful not to interfere with other customers or the operation of the vehicles. You are grasping at straws because you cannot deal with the logic. I still do not see anything convincing against private property or capitalism. It is not absurd. First, Hoppe is against any subsidies or regulations that limit competition. Second, if Exxon gets $250 million for some wind farm but pays $25 billion in taxes guys like you do not get to claim that it does not pay taxes or that its employees do not pay taxes. It is State employees who do not pay taxes because they get far more from the taxpayer than the tiny bit that they give back. As I said, the Left-Anarchists have a problem with Hoppe because he and others like him have demonstrated that their system cannot create a viable society in the absence of property rights that permit the voluntary transactions that take place in capitalist society.